Say it and Google searched it with new Voice feature!Google enhancing the ways to improve its search features added up Voice search to its search page. 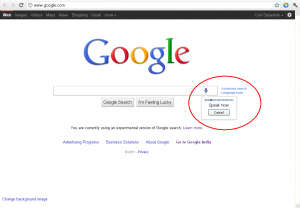 With the help of new voice feature, Google is trying to make the search simpler. You don’t even have to type to get a required search results. This feature is mostly used in mobile phones and recently added up to the desktop machines. You need have a Mic which can be easily connected to your desktop machine or if you are using Laptop, they come with inbuilt mic. 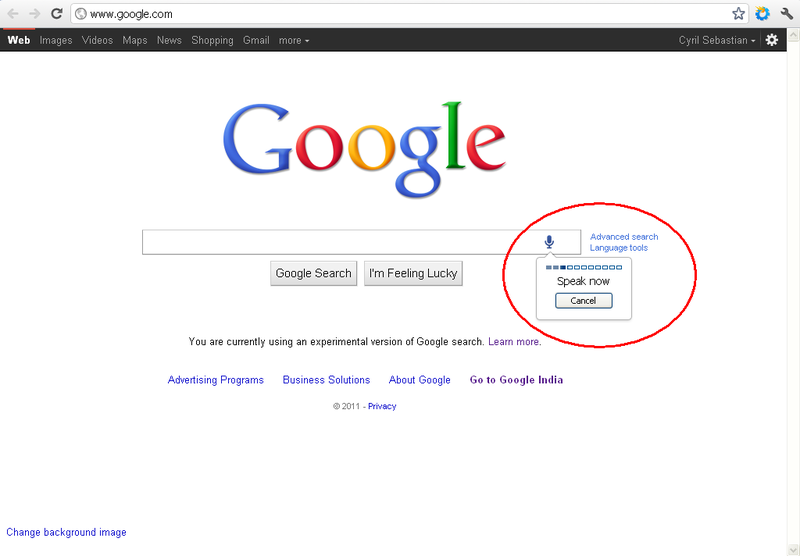 This feature supports Google Chrome as the primary browser.